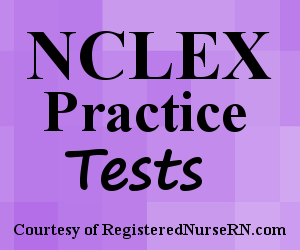 This quiz contains sickle cell anemia NCLEX practice questions. Sickle cell anemia is the most severe type of sickle cell disease. It is genetic and tends to show up in the pediatric population. It occurs because the patient has abnormal hemoglobin on their red blood cell. As the nurse, you must be familiar with the pathophysiology, signs and symptoms, sickle cell crisis, and nursing interventions. Don’t forget to watch the lecture on sickle cell anemia before taking the quiz. 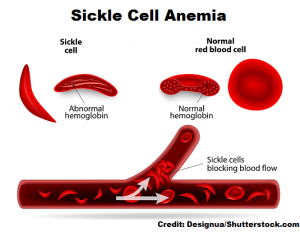 This quiz will test your knowledge on sickle cell anemia in preparation for the NCLEX exam. A. This disease is an x-linked recessive disease. B. Sickle cell anemia is an autosomal dominant disease. C. This condition is an autosomal recessive disease. D. Sickle cell anemia is rarely passed to offspring and is an autosomal x-linked dominant disease. A. The patient needs fewer blood transfusions. B. The patient experiences diuresis. C. The patient experiences an increase in fetal hemoglobin (Hbg F). D. The patient experiences a decrease in hemoglobin S.
A. "We will limit fluid intake during the day to 1-2 L a day." B. "Cold showers are best to help with pain associated with sickling." C. "We will avoid traveling to high altitude locations." D. "It is important we refuse all future vaccinations unless absolutely necessary." 1. Which statement about how sickle cell anemia is passed to offspring is CORRECT? The answer is C. SCA is an autosomal recessive disease in that the offspring must receive TWO hemoglobin S genes (one for each parent). The parents usually don’t have the disease but are carriers. For the disease to occur in the offspring they must receive both of those genes (Hbg SS). On the contrary, with autosomal dominant the offspring has to only receive an abnormal gene from one parent, who probably has signs and symptoms of the disease too. 2. Which type of hemoglobin is present in a patient who has sickle cell anemia? The answer is C. SCA is homozygous and the patient must have two abnormal alleles present to have sickle cell anemia. The patient receives each abnormal allele for each parent (hence one from each parent which is Hemoglobin SS). If a patient has Hemoglobin AS (normal allele (A) and abnormal allele (S)) this is known as sickle cell trait, which most patients with this don’t present with signs and symptoms of the disease…it’s rare because they usually have just enough hemoglobin A to prevent the RBCs from sickling. 3. Which type of hemoglobin is present in a patient who has sickle cell TRAIT? The answer is B. Sickle cell TRAIT is heterozygous, which means the patient has one NORMAL allele (which is Hemoglobin A…this is NORMAL hemoglobin) and one ABNORMAL allele (which is Hemoglobin S)…..this is the abnormal hemoglobin that leads to the abnormal construction of the RBC). However, most patients with sickle cell trait don’t show signs and symptoms related to sickle cell anemia because they have just enough of the normal hemoglobin A to prevent sickling of the RBC. 4. A 25 year-old pregnant female and her partner both have sickle cell trait. What is the percentage that their offspring will develop sickle cell anemia? The answer is B. If both parents have the sickle cell trait it means they each have normal hemoglobin A and abnormal hemoglobin S on their RBCs….so both present with hbg AS. Remember they don’t have sickle cell disease just the abnormal gene that can be passed to their child. Sickle cell anemia is autosomal recessive, therefore there is a 25% chance their child will obtain both abnormal genes (the Hbg S) from EACH parent and develop sickle cell anemia. 5. You’re assisting a physician with sickle cell anemia screening. As the nurse you know that which patient population listed below is at risk for sickle cell disease? The answer is B. Sickle cell anemia is most common in African-Americans along with Middle Eastern, Asian, Caribbean, and Eastern Mediterranean. WHY? According to the CDC, 1 in 12 African-Americans have the sickle cell trait, so it can easily be passed to their offspring. Remember if both parents have sickle cell trait there is a 25% chance they will pass it to their child. 6. A 14 year-old female has sickle cell anemia. Which factors below can increase the patient’s risk for developing sickle cell crisis? The answers are B, C, D, F and G. Sickle cell crisis can occur when the body experiences low amounts of oxygen in the body (so think about something that increases the body’s need for oxygen or affects how oxygen is being transported). Therefore, infection (especially respiratory infections), dehydration, hypoxia, HIGH (not low) altitudes, hemorrhage (blood loss), or strenuous exercise can lead to a sickle cell crisis. 7. A 6 year-old is admitted with sickle cell crisis. The patient has a FACE scale rating of 10 and the following vital signs: HR 115, BP 120/82, RR 18, oxygen saturation 91%, temperature 101.4’F. Select all the appropriate nursing interventions for this patient at this time? The answers are A, B, E, G, and H. When a patient is in sickle cell crisis, the abnormal RBCs are sickling and sticking together, which blocks blood flow. To help alleviate the RBCs from clumping together and sickling, oxygen and hydration are priority. This will help dilute the blood (hence decrease the sticking of RBCs) and help supply oxygen to the RBCs (remember abnormal RBCs with hemoglobin S are very sensitive to low oxygen levels and will sickle when there is low oxygen). In addition, pain needs to be addressed. Opioid medication is the best on a scheduled basis rather than PRN (as needed). Avoid keeping patient NPO unless needed (remember patient needs hydration). Avoid cold compresses (can lead to more sickling) but instead use warm compresses. The patient will need FOLIC ACID supplements to help with RBC creation rather than iron (iron can actually build up in the body and collect in the organs in patients with sickle cell disease). Patients definitely need to be on bedrest, and restrictive clothing or objects (blood pressure cuff etc.) should be removed to help blood flow. 8. A patient is being tested for sickle cell disease. As the nurse, you know the ________ will assess for abnormal hemoglobin on the red blood cell, but will not differentiate between sickle cell disease and sickle cell trait. Therefore, the patient will need to have what other test to determine this? 9. During an outpatient well visit with a patient who has sickle cell anemia, you make it PRIORITY to assess the patient’s? The answer is D. Patients will sickle cell anemia are at risk for infection because of spleen compromise. Many patients with SCA experience splenomegaly because blood flow is compromised to the spleen due to sickling of RBCs and the spleen is overworked from recycling the old RBCs (remember a patient with sickle cell anemia does NOT have long-living RBCs…the RBCs tend to die in 20 days rather than 120 days). Therefore, vaccination history is very important. The patient should be up-to-date with the flu, pneumococcal, and meningococcal vaccines. 10. An 18 year-old male is taking Hydroxyurea for treatment of sickle cell anemia. Which option below indicates this medication is working successfully? The answers are A and C. This medications actually treats cancer, but it will help with SCA in that it will help create fetal hemoglobin hgb F (this helps decrease sickling episodes) and helps with anemia (decreasing the need for so many blood transfusions). 11. You’re providing education to a patient with sickle cell anemia who is taking Hydroxyurea. You will make it priority to tell the patient to? The answer is B. This medication can lower the white blood cell count. Therefore, the nurse should make it priority to tell the patient to avoid infection by avoiding sick people and performing hand hygiene regularly. 12. A mother brings in her 8 month-old child to the ER. The mother reports the baby has recently started being extremely fussy, has a fever, and swelling in the hands and feet. The child is diagnosed with sickle cell disease. As the nurse you know that the swelling in the hands and feet in the infant is termed? The answer is A. Dactylitis (also called hand-foot syndrome) occurs mainly in infants who are newly diagnosed with sickle cell anemia. 13. You’re providing seminar teaching to a group of nurses about sickle cell anemia. Which of the following is NOT a treatment for this condition? The answer is D. Iron supplements are not prescribed (rather Folic Acid) because this type of anemia is not caused by low iron levels, and patients who take iron supplements with sickle cell disease are at risk for building up too much iron in the body, which will damage the organs. 14. You’re educating the parents of a 12 year-old, who was recently treated for sickle cell crisis, on ways to prevent further sickle cell crises in the further. Which statement by the parents demonstrates they understood your instructions? The answer is C. Remember sickle cell crisis can be caused by blood loss, illness (it’s important the patient is up-to-date with all vaccinations), high altitudes, stress, dehydration, elevated temperature, or extreme cold temperatures. All options are wrong except C.